By now you may have received notices that your PPO will no longer be offered in San Diego. 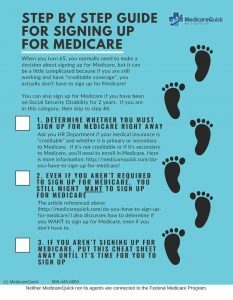 What rights do you have if you are losing your PPO Medicare Advantage Plan? Unfortunately, MAPD plans can change each year. Fortunately, you can make a change this Annual Election Period (AEP) that will result in your never needing to worry about making changes in the AEP period again. Enroll in a Prescription Drug Plan and get a Medicare Supplement Insurance Plan. There is one PPO left in San Diego for 2016, and you can enroll in that plan. However, because a PPO is an MAPD plan, you are not guaranteed that the plan will not disappear in 2017. Keep in mind that with this plan there may be significant costs associated with going out of network. San Diego County has a wide selection of MAPD HMO plans, many of which have a zero copay. If you are happy staying in network, and can afford the Maximum Out of Pocket that you potentially could pay if you wind up with an expensive Medical Condition, this may be the way to go. You can read about the top 10 reasons to buy a Medicare Advantage Plan here. Medicare Supplement Plans work differently than Medicare Advantage Plans. They don’t have changes every year and there are no networks. Sometimes doctor’s offices get Medicare Supplement Plans confused with PPOs. However, a Medicare Supplement Insurance Plan is actually more comprehensive than a PPO. Why is that? Medicare Supplement Insurance Plans allow you to see any doctor who accepts Medicare Part B as primary insurance (at exactly the same co-pays, if there are any), compared to MAPD PPO plans, which have networks. You are allowed to go out of network, but normally your costs are higher if you do. We do not recommend that you chose this option (doing nothing). Regardless of what you decide to do, you should make a decision before December 7th. If you do not make a decision before the end of the Annual Enrollment Period, you could lose important coverage and wind up with unlimited costs if you have a long term hospital stay.